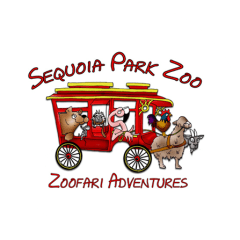 Come celebrate spring with Sequoia Park Zoo’s fun and education Spring Break camps! Click the link(s) below to register online or download the Registration Form(s) and return with payment to the zoo ticket booth. **Zoo Members: if you would like to register for online payments, please email ten.o1555744543ozkra1555744543paiou1555744543qes@n1555744543oitac1555744543ude1555744543 with the following information: Adult named on membership, children’s names and birthdates. 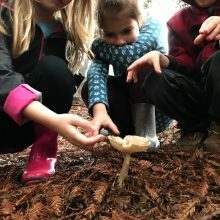 Family Nature Club is designed to get adults and children outside, sharing in the benefits of being in nature. Each session includes hands-on activities, outdoor exploration, an animal encounter or behind the scenes experience, and a take home craft. Activities are geared towards children 3 – 9 years old, however all ages are welcome. The registration fee covers one adult and one child; children under 3 are permitted with a paying adult and are not subject to the additional person fee. A minimum of one adult for every two children is required. Members receive a 10% discount. Click the session name(s) below to register online or download the Registration Form and return with payment to the zoo ticket booth. **Zoo Members: if you would like to register for online payments, please email ten.o1555744543ozkra1555744543paiou1555744543qes@n1555744543oitac1555744543ude1555744543 with the following information: Adult named on membership, children’s names and birthdates.. Birds and Babies – April 20, 2019: Chirp, chirp! Do you hear the baby birds? From nesting to flying, learn how parent birds raise their young! Mother Knows Best – May 18, 2019: Celebrate your special mom by learning about animal families and what makes their moms so special! So You Want to be a Zoo Keeper – June 15, 2019: Do you have what it takes to care for our zoo residents? Get the rundown on what a zookeeper’s job entails and how you can be a responsible pet owner. Parents and young children are invited to join education staff in Secrets of the Forest on the first Wednesday of each month between September and May from 11:00am – noon for curated stories and quiet activities. Activity is included with paid admission. 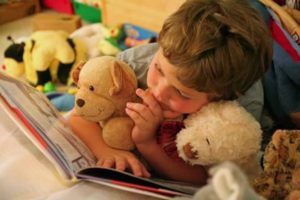 Stories and Stuffies is on summer vacation for the months of June, July and August. 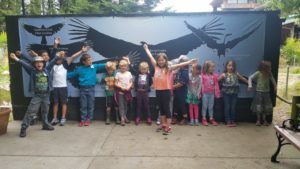 Sequoia Park Zoo invites guests of all ages to become stewards of the environment through the new Nature Exchange program! 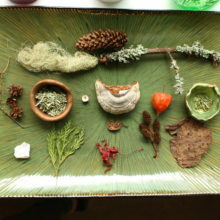 Bring in items found in nature, such as driftwood, rocks, empty shells, and redwood cones, and earn points to redeem on different nature items, like porcupine quills and antler sheds. 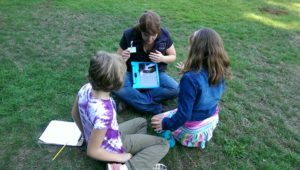 In searching for things to collect and trade, Junior Naturalists will develop observation and deductive reasoning skills, thoughtfully consider the effects of their actions, and learn the ethics of responsible collecting. Nature Exchange is open from 11:00am – 1:00pm on the first Saturday of every month. Call Kate in the Education Department at (707) 441-4217 for more information. 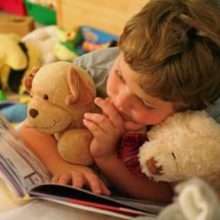 Cub Club (Ages 5-7) Cub Club is a wild adventure for the young explorer. During each class we learn about animals through intimate encounters, hands-on exploration, theater, storybooks, art and more. Jr. Zookeepers (Ages 8-11) Hands-on learning about animals including caring for, feeding and making special treats for our zoo ambassadors. Camps cater to diverse learners and always include arts, physical movement and multi-sensory exploration. Would you like to share your love of the zoo with a child in need? Contact Foundation Executive Director, Leigh Pierre-Oetker to discuss sponsorship of a camper. Your generosity will help expand the mind of an eager young learner!